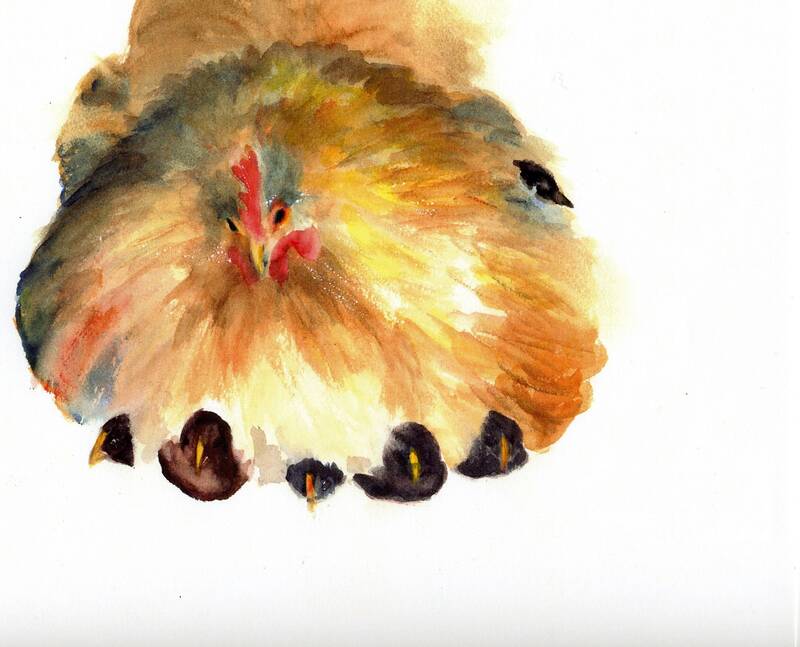 This is a chicken print from an original watercolor done by me, Bonnie White. This artwork is hand signed on the front. It is printed on Epson matte paper using Epson Clarion inks. The detail and color are very much like the original painting. The 5x7 print is matted to 8x10 and the 8x10 is matted to 11x14. The mats are hand-cut white mats and include a backing board. They are in a clear plastic cover. The 13x19 print is not matted and comes rolled.